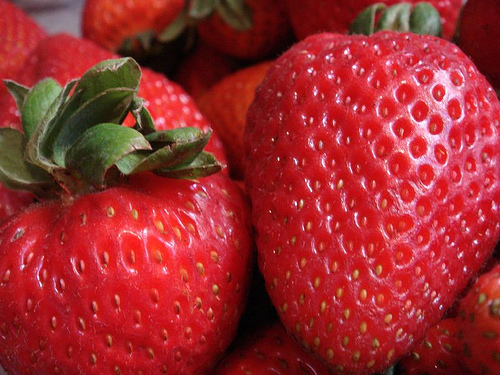 The strawberry, a member of the rose family, is unique in that it is the only fruit with seeds on the outside rather than the inside. I didn’t know. . . learned it from the newsletter for the Dane County Farmers Market (dcfm.org), not that it is true, ‘cuz of that. . .
A good weekend, filled with work and fun and music and bike rides and did I mention work? I’m thinking of this weekend as practice for vacation. You know, where you take one week off from work to have fun and rest, and have to pay for the next month for it?